Wheat production in the Western Cape, especially in the Swartland, was previously based on monoculture production. Before 1994, when wheat prices were governed by a Wheat Board, wheat was planted on nearly every open field a farmer had available. With the onset of our free-market economy the area planted to wheat diminished dramatically and thus the production of wheat on marginal soils did not make sense any longer. One would be excused to assume that this hampered the supply of wheat produced in the Western Cape, but with the introduction of no-till seeding methods, combined with crop rotation, the Western Cape is currently producing nearly double the amount of wheat on less than half of the area previously planted to wheat. 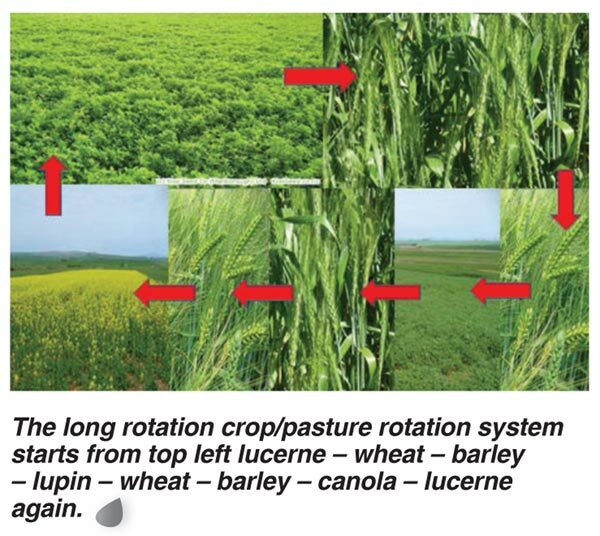 Results from the Langgewens longterm crop rotation trial speaks directly to the increase of wheat production within crop rotation systems. The long-term average wheat yields, from 2002 until 2014, are shown in Table 1. These averages include data from 2003, where wheat yields were obtained only in the crop/pasture systems due to a drought. The 2004 yields were also low due to another poor production season with low rainfall. 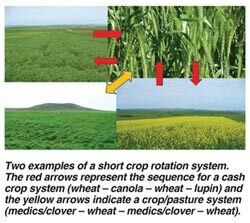 Systems A to D are classified as pure cropping systems, while systems E to H are crop/pasture systems. Looking at the average wheat yields for the different production systems (Table 1); the wheat monoculture (system A) has the lowest long-term average. 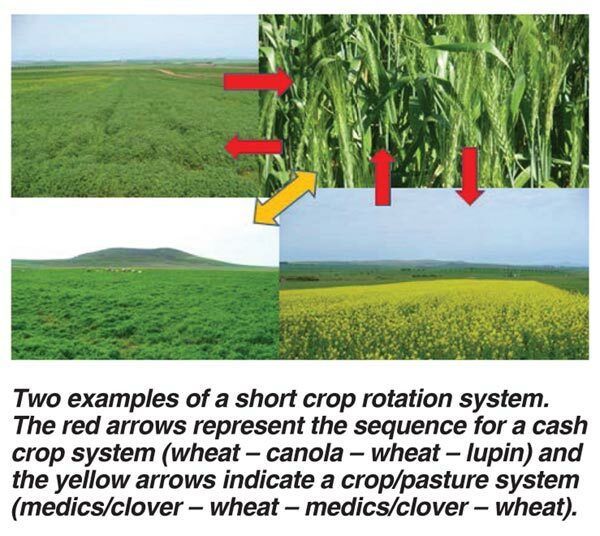 Including only one different cash crop type in the system, like canola in system B, the average wheat yield increases by 12,27% compared to the monoculture. By including two different cash crops, as in systems C and D, the average wheat yield increases by 27,72%, when compared to the monoculture. Includes a pasture crop in the system (E to H), increases the average yield of wheat in those systems by 37,64%, compared to the monoculture. Although the average wheat yields in system B and D is (Table 1) better than monoculture if one looks more closely at where wheat is produced within the crop sequence, of the system, the picture changes again. In system B you have four different crop sequences namely CWWW, WCWW, WWCW and WWWC. The sequences represent third year wheat production following a single canola year (CWWW), second year wheat production following canola (WCWW) and first year wheat following canola (WWCW). Similarly system D has (Table 1) first year wheat (WLCW) and second year wheat (LCWW) following two broadleaf crops. In Table 2 the effect of producing the same crop for a second or third consecutive year is shown and it is clear that the wheat yield declines for every consecutive year it is produced before rotating with another crop. The differences between the wheat yields in Table 2 are connected with increases in weed pressure, as well as increases in soil bourne diseases, which cause the drop in yield for every consecutive year where the same crop was planted. If the 2003 data is excluded, the averages from system G and H increased to just over 4 000 kg/ha. Wheat following an annual legume pasture, as in the case in systems E to H, not only increases your average yield of wheat, but also opens the possibility of a livestock factor for a farmer. It will depend on the farmer and the area where he or she is farming, which system might be better suited. 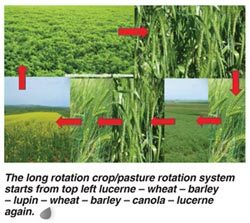 It is important to realize the value of crop rotation in improving not only the yields on farm, but also the gross margins of the systems. Let us look at some examples of short and long rotation systems currently used in the province. Wheat – canola – wheat – wheat. 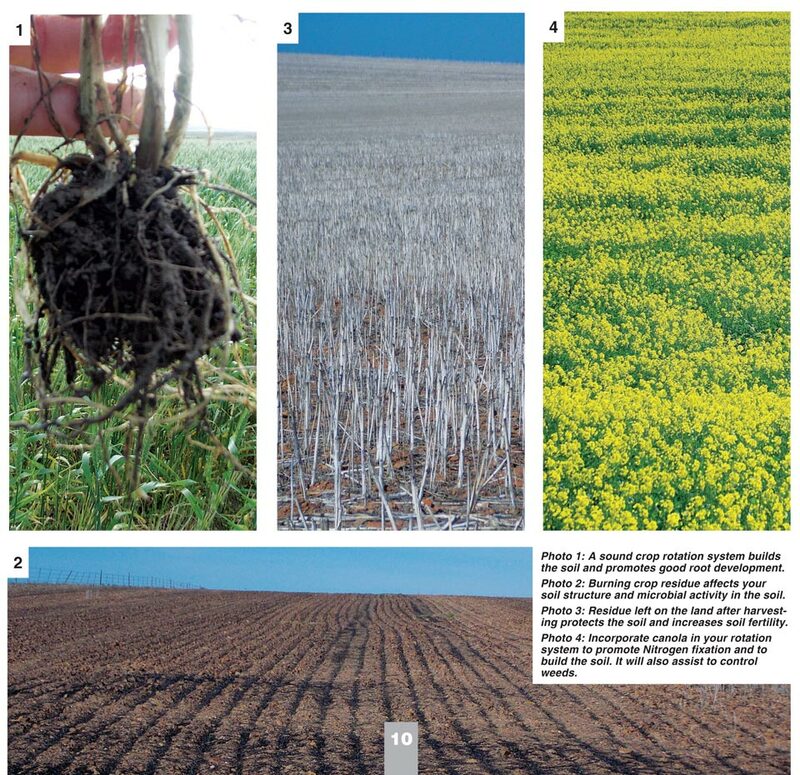 Wheat – medics/clover – canola – medics/clover. Wheat – barley – canola – wheat – barley – lupin. Medics/clover – medics/clover – wheat – barley. Five to six years of lucerne – wheat – barley – canola – wheat – barley. Western Cape Department of Agriculture. For more information, send an email to johannst@elsenburg.com.